Heres an simple and easy recepie for your brother on the occassion of rakhi..
Garnish with badham and serve chilled.. 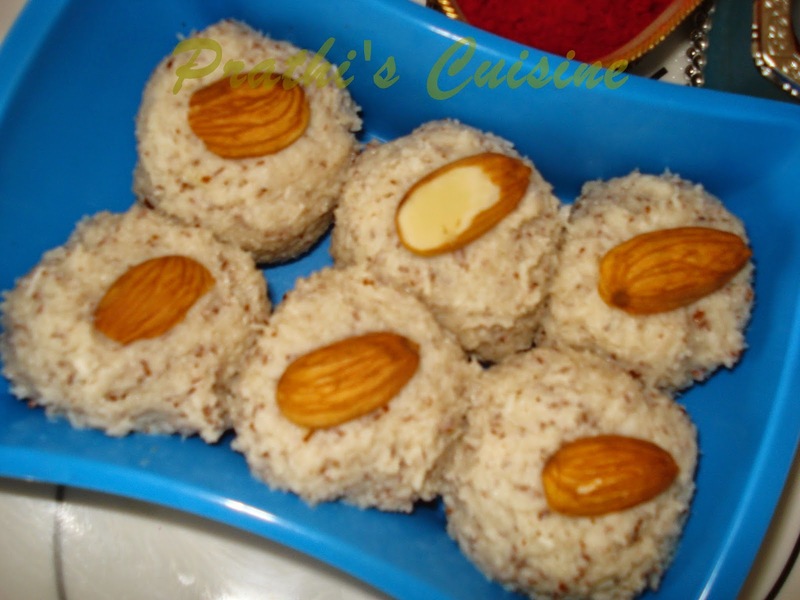 Simple , easy coconut milk maid laddus are ready now..
Have a wonderful rakhi celebration with your brother!!!! Heres a small tip, if your laddu comes out softly,just refrigerate it for 30 minutes, it turns bit hard..